Packers fans, it looks like your future Hall of Fame QB will continue ruining the hopes and dreams of other teams this season. 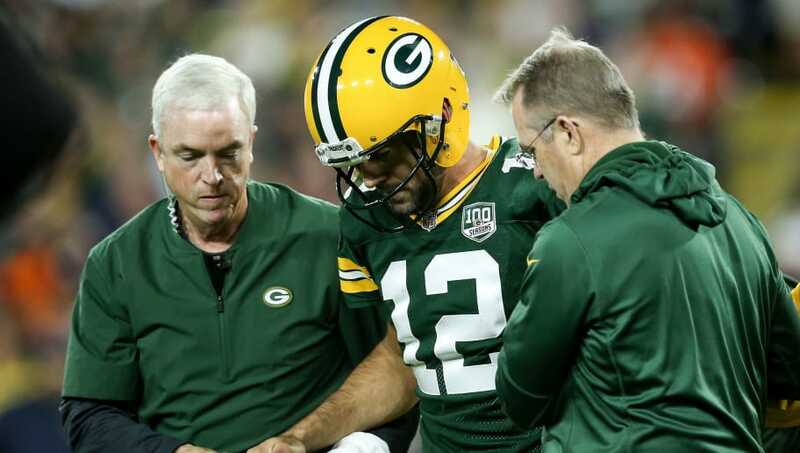 Rodgers calls the injury to his knee a sprain which has kept him sore over the last couple of days. While the injury was certainly a scary moment in the game, it paved the way for something great. Rodgers returned to the game after his injury, and sparked a ​major comeback victory for the Packers. ​​Although the knee injury doesn't seem like it will keep out Rodgers for very long, if at all, he still has ​yet to practice this week. We wish Rodgers the best of luck during his recovery.